AFL star Eddie Betts has received support after calling out a social media user for a racist comment directed at the dynamic forward. 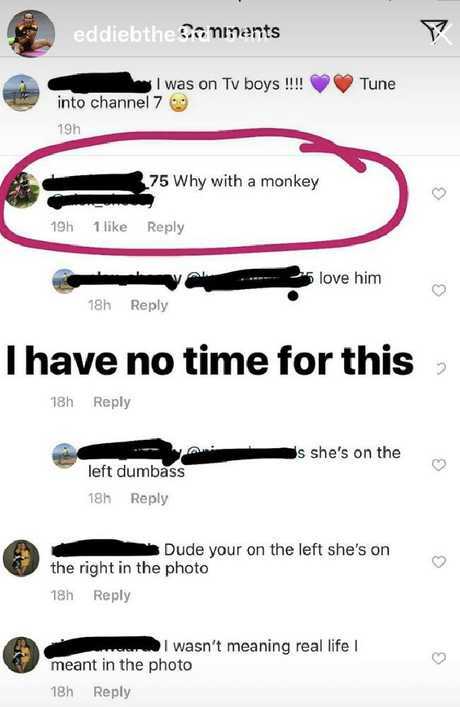 The talented Adelaide Crows forward replied to an Instagram comment referring to him as a "monkey" by saying: "I have no time for this." The comments were posted alongside an image of Betts mingling with fans at Optus Stadium on the weekend. 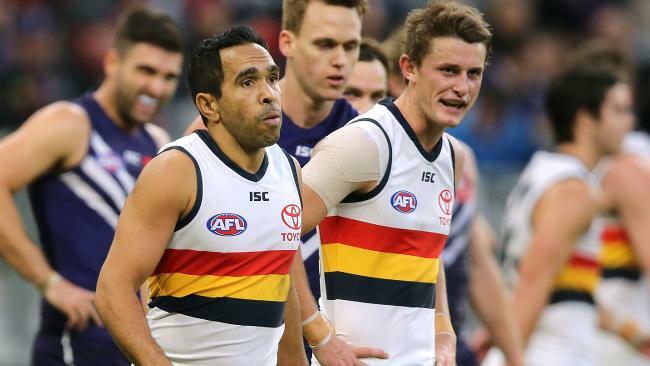 Betts copped the disgusting remark after the Crows suffered a three-point loss to Fremantle in Perth on Sunday. David Penberthy, co-host of Adelaide radio station FiveAA's breakfast program, slammed the "moron" who wrote the vile slur. "We just wanted to record our utter disgust this morning at the fact that he has been targeted by a halfwit, a moron, a pig of a person on Instagram," Penberthy said on Tuesday. "The bloke (Betts) is an absolute gem. He handles himself with such grace and dignity." Unfortunately, it's not the first time the goal-sneak has had to endure racist abuse. Last year a woman was widely condemned for calling Betts an "ape" in a Facebook post and in 2016 a spectator threw a banana at him during a Showdown against local rivals Port Adelaide. Betts called out the vile taunt on Instagram. 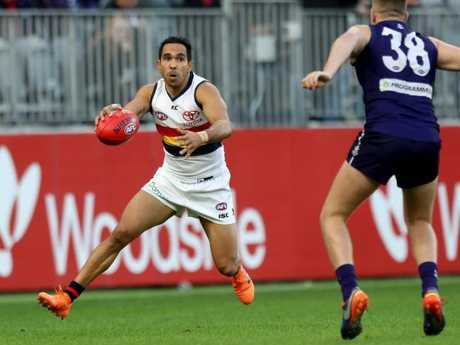 The latest dark chapter in Betts' experience with racism added insult to injury after the Crows suffered their sixth loss of the year, against a Dockers outfit missing Nat Fyfe and Aaron Sandilands. Adelaide slumped to its third straight defeat after unheralded forward Brennan Cox booted four goals to inspire Fremantle to victory. Adelaide unleashed a six-goals-to-nil second quarter to take a 12-point lead into half-time. But Fremantle regained its composure after the main break, with Cox booting 4.0 from 19 disposals to lift his team to the 10.11 (71) to 9.14 (68) win in front of 33,421 fans. The result left Adelaide (6-6) one game adrift of eighth spot and with a horror month of action ahead. The Crows take on Hawthorn at the MCG next Saturday then face off against flag fancies West Coast (home), Richmond (MCG) and Geelong (home) after their bye. Last year's grand finalists are nursing a horror injury toll, with defender Luke Brown added to the list after he rolled his left ankle on Sunday. The Crows were already without Rory Sloane, Rory Laird, Tom Lynch, Riley Knight, Brad Crouch, Mitch McGovern and Brodie Smith on Sunday. But coach Don Pyke hasn't given up hope of getting his team back into contention. "We're lacking a little bit of connection, a bit of synergy, which historically has been there." Betts (2.6) had a rare off day in front of goal but some of his shots were from difficult angles. Crows skipper Taylor Walker finished with 1.2 from 11 disposals in his first match back since round eight. Walker returned one week earlier than expected from his mini pre-season, but Pyke said he was comfortable with the decision to bring back the veteran. "He performed like a guy that has missed three weeks and came back in," Pyke said of Walker. "But it wasn't through conditioning, it was the way the game is." Fremantle defender Alex Pearce is set for a stint on the sidelines after breaking his thumb. The incident happened in the second quarter but Pearce bravely played on. Fremantle veteran Michael Walters faces a nervous wait after being reported for headbutting Tom Doedee in the dying minutes. Replays showed only a slight contact and it's unlikely to attract a suspension. But Walters' punch to the gut of Jake Kelly, which occurred just seconds before the headbutt, could cost him a week. "It wasn't the action we wanted. 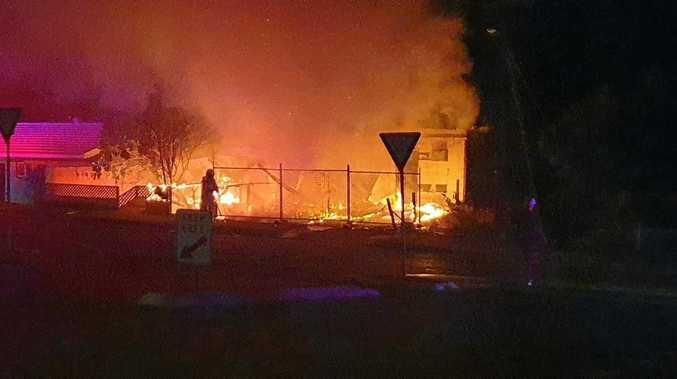 Michael would have known that," Dockers coach Ross Lyon said. "We'd like him to be a bit fiery but at the right time."